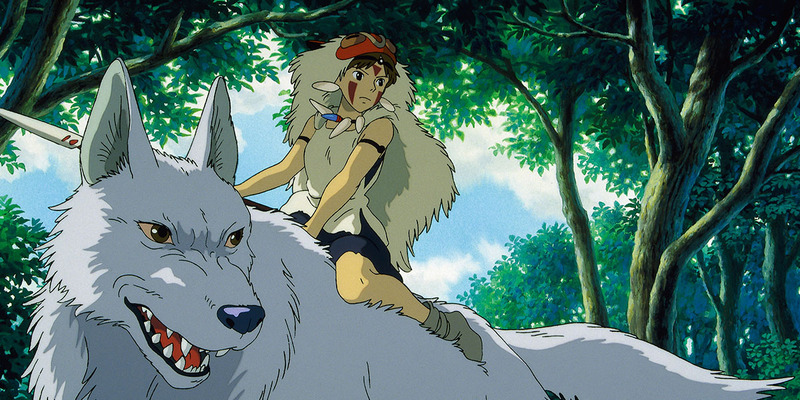 I love animated movies because I can escape to a totally different world. And most of the time animated movies are so much fun and sometimes so emotionally moving like you might cry because animated movies are so creative which you might see in real movies. Animation movies are mixed of every genre so you can see romance, funny moments, deep meaning and a good story and this makes them so interesting. If you are an animation movie lover like me then I suggest you to see all these movies and I promise you will not regret. 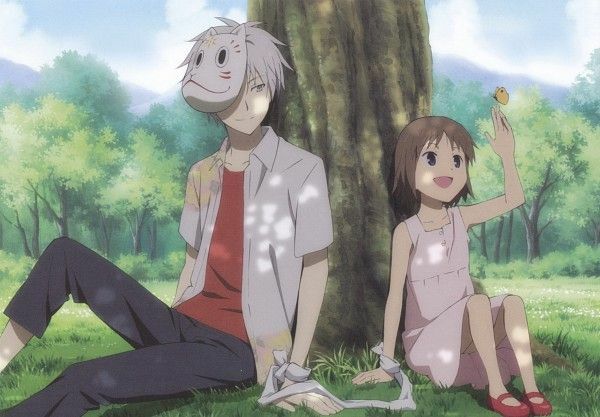 Plot: Ten-year-old Chihiro Ogino and her parents are traveling to their new home when her father takes a wrong turn. 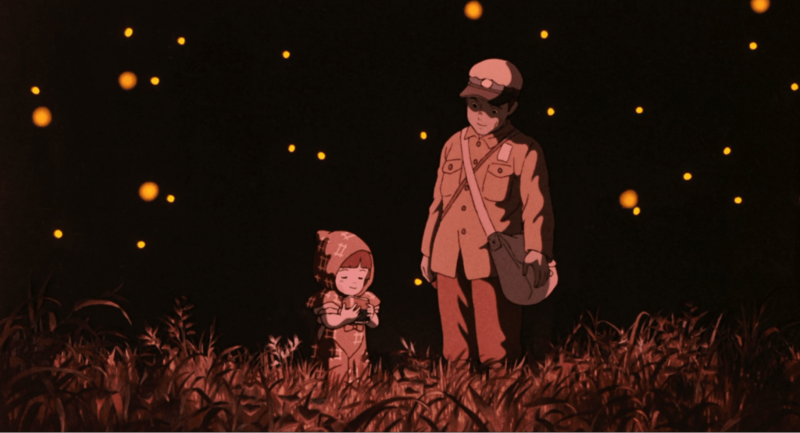 They unknowingly enter a magical world that Chihiro’s father insists on exploring. 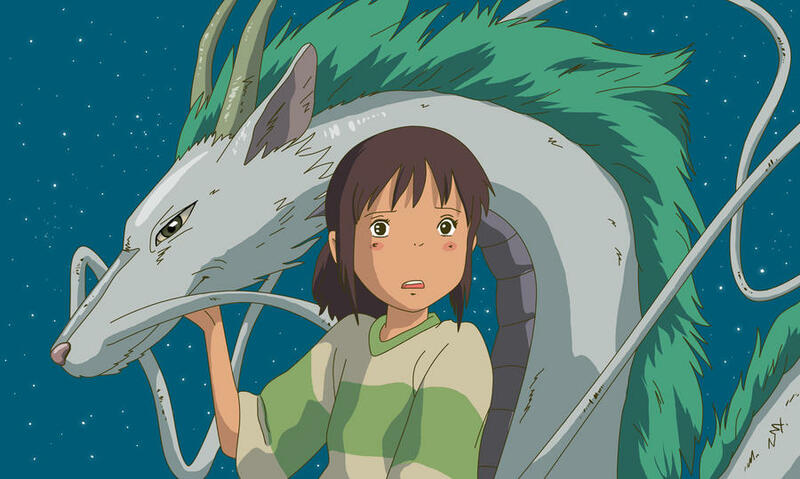 While Chihiro’s parents eat like pigs at an empty restaurant stall, Chihiro finds an exquisite bathhouse and meets a young boy named Haku who warns her to return across the river before sunset. However, Chihiro discovers too late that her parents have turned into pigs and she is unable to cross the flooded river, becoming trapped in the spirit world. Plot: In a world populated by anthropomorphic mammals, Judy Hopps from rural Bunnyburrow fulfills her childhood dream of becoming a police officer in urban Zootopia. Despite being the academy valedictorian, Judy is delegated to parking duty by Chief Bogo, who doubts her potential because she is a rabbit. 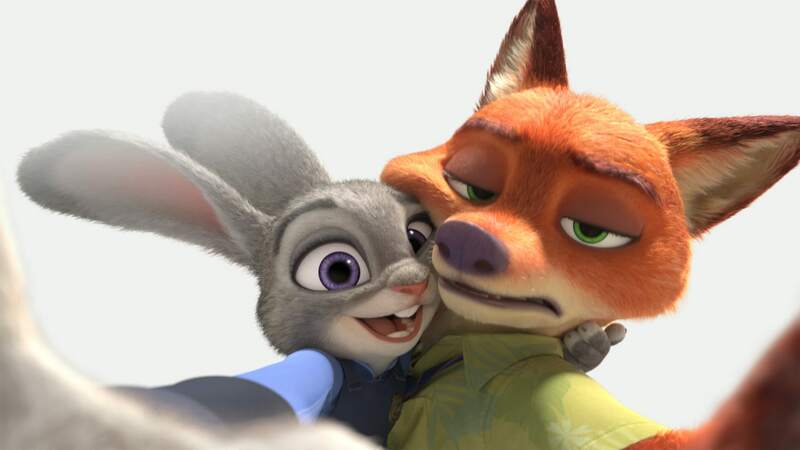 On her first day, she is hustled by a con artist fox duo, Nick Wilde and Finnick. Plot: Long ago, a drop of sunlight became a golden flower capable of healing illness, decay, and injury. Hundreds of years later, the flower is still used by Mother Gothel to retain her youth, until soldiers from nearby kingdom, Corona, steal it to heal their ailing queen. Shortly afterwards, the Queen gives birth to Princess Rapunzel. While attempting to recover the flower, Gothel discovers that Rapunzel’s hair contains the flower’s healing properties, and that cutting her hair destroys its power. Gothel takes the baby and raises her as her own daughter in an isolated tower. 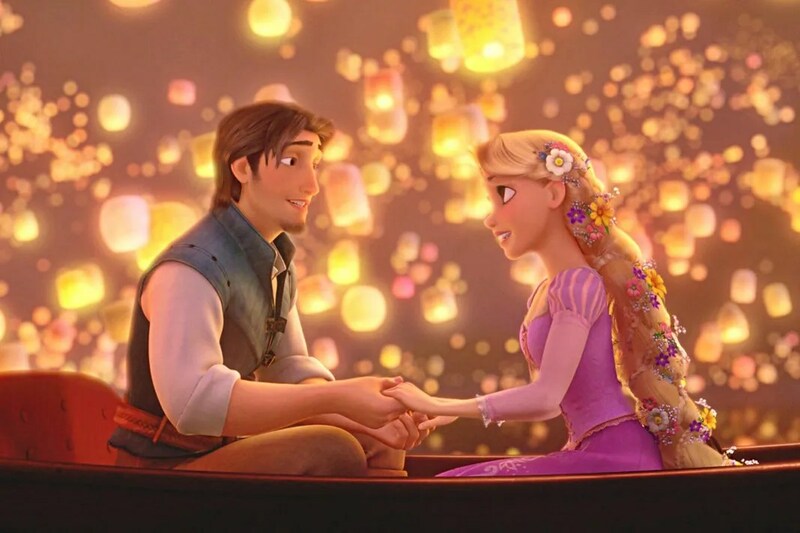 Once a year, the King and Queen release sky lanterns on Rapunzel’s birthday, hoping for their daughter’s return. Plot: A six-year-old girl named Hotaru Takegawa, who gets lost in a forest inhabited by a yamagami, or mountain spirit, as well as yōkai (strange apparitions from Japanese folklore). She is found by a mask-wearing, human-like entity named Gin, who informs Hotaru that he will disappear forever if he is touched by a human. Gin then leads Hotaru out of the forest. Hotaru returns to visit Gin in the forest over the next few days and they become friends despite the limitations on their interactions. Although at summer’s end she must leave Gin to return to the city and her studies, Hotaru promises to return to visit him every summer holiday. Plot: In the city of Agrabah, Jafar, the Grand vizier of the Sultan, and his parrot Iago, seek the lamp hidden within the Cave of Wonders, but are told that only a “diamond in the rough” may enter. Jafar identifies a street urchin named Aladdin. Aladdin and his pet monkey, Abu, meet Princess Jasmine, who refuses to marry a suitor and temporarily leaves the palace. 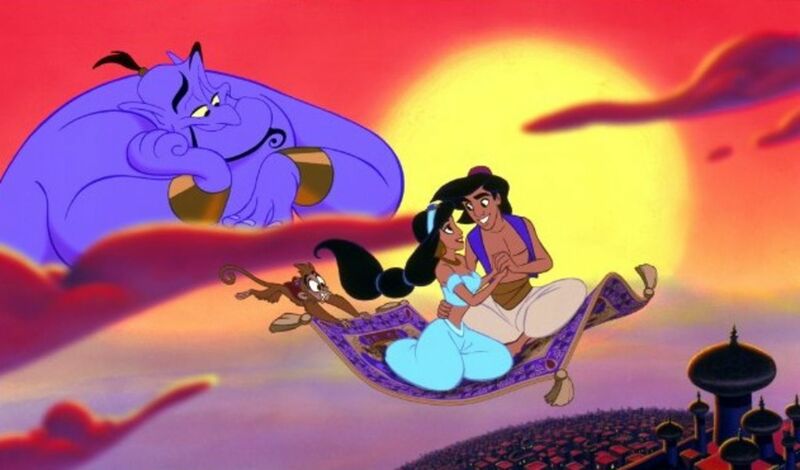 Aladdin and Jasmine become friends and fall in love. When the palace guards capture Aladdin, Jafar lies to Jasmine that Aladdin has been executed. Plot: In 1958 Japan, university professor Tatsuo Kusakabe and his two daughters, Satsuki and Mei, move into an old house to be closer to the hospital where the girls’ mother, Yasuko, is recovering from a long-term illness. Satsuki and Mei find that the house is inhabited by tiny animated dust creatures called susuwatari (small, dark, dust-like house spirits) seen when moving from light to dark places. When the girls become comfortable in their new house and laugh with Tatsuo, the soot spirits leave the house to drift away on the wind. It is implied that they are going to find another empty house which is their natural habitat. Plot: Gru, a supervillen, is disheartened when an unknown supervillain steals the Great Pyramid of Giza. 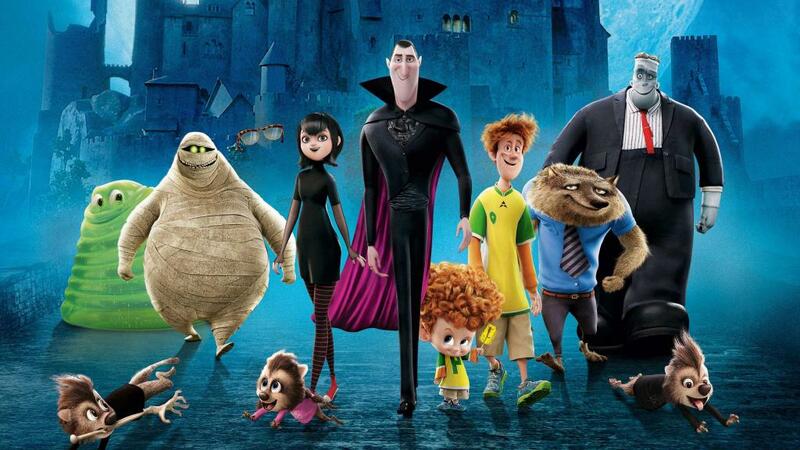 Gru, with the assistance of his colleague Dr. Nefario and his Minions, resolves to one-up this mystery rival by shrinking and stealing the Moon. As it would be costly to steal the moon, Gru seeks a loan from the Bank of Evil. Bank president Mr. Perkins is impressed by the plan but will provide the money only if Gru can obtain the necessary shrink ray first. Upon learning that an up and coming villain named Vector was responsible for the pyramid theft, Gru starts a rivalry with him. Plot: Public opinion turns against superheroes—also called “Supers”—due to collateral damage from their crime-fighting activities. After several lawsuits, they are forced into civilian relocation programs. Fifteen years later, Bob and Helen Parr, formerly known as Mr. Incredible and Elastigirl, and their children Violet, Dash, and baby Jack-Jack live as a suburban family. Bob dislikes suburban life and his white collar job, and occasionally relives his glory days with his friend Lucius Best, formerly known as Frozone, by secretly acting as vigilantes at night. Plot: This is a story about Tim the 7 year old child who lives with his parents, Ted and Janice. One day, Tim is surprised when an infant wearing a business suit shows up in a taxi at his house, and Ted and Janice call him Tim’s little brother. Tim is envious of the attention the baby receives, not to mention suspicious when the infant acts odd around him. 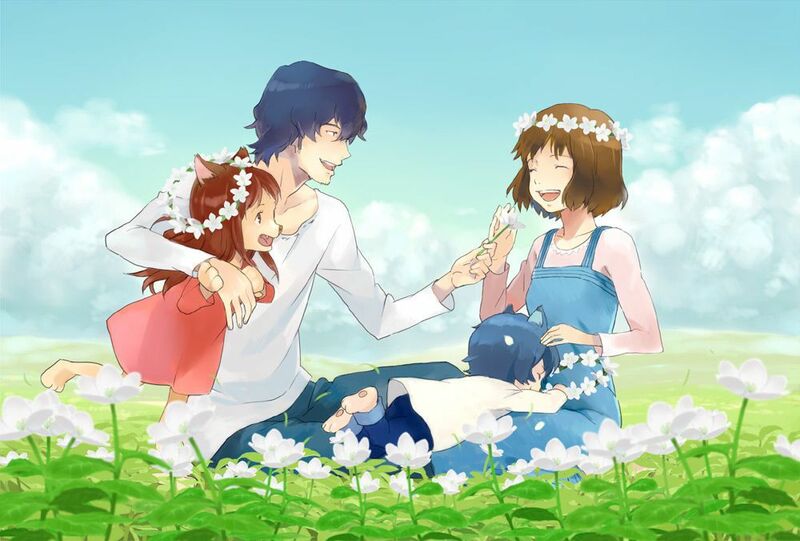 Plot: In Tokyo, Japan, college student Hana falls in love with a werewolf and has two half-wolf, half-human children with him: a daughter, Yuki, and a year later a son, Ame. Soon after, their father is killed in an accident while hunting food for the children. 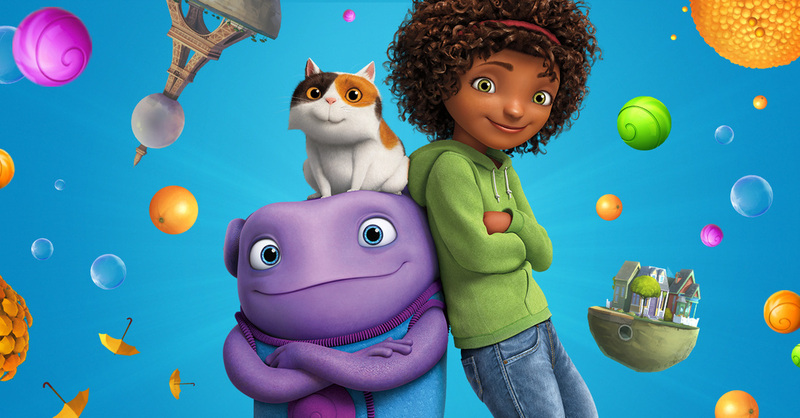 Plot: On the run from their enemy, the so-called planet-destroying Gorg, an alien race known as the Boov find Earth a suitable place to call “home”. Led by Captain Smek (Steve Martin), they commence their “friendly” invasion of the planet, relocating the humans, whom the Boov deem as simple and backwards, to other parts of the planet while the Boov inhabit their homes in a quick and bloodless conquest. One of the Boov, named Oh (Jim Parsons), is a more excitable, freethinking member of the species, who decides to invite the Boov to his apartment for a housewarming party, despite the race’s antipathy towards him. Not far from Oh is a twelve year old girl named Gratuity ‘Tip’ Tucci (Rihanna), who drives away through her home city to find her mother Lucy (Jennifer Lopez) after being separated from her during the invasion, leaving her with only her calico cat Pig and fueling her hatred for the Boov. 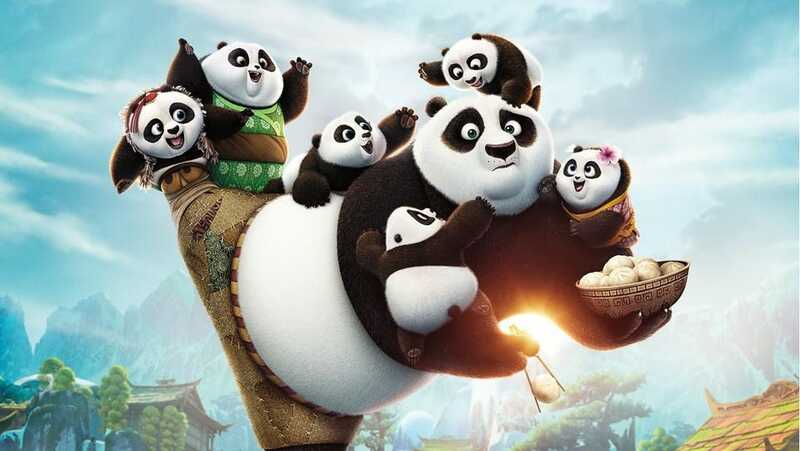 Plot: In the spirit realm, Oogway fights against an adversary named Kai, who has defeated other kung fu masters in the realm and taken their chi. Oogway willingly gives in and also has his chi stolen, but not before warning Kai that the Dragon Warrior, Po, will stop him. Kai takes this as a challenge to steal the Dragon Warrior’s chi and returns to the mortal realm. Plot: Umi Matsuzaki is a sixteen-year-old student attending Isogo High School living in Coquelicot Manor, a boarding house overlooking the Port of Yokohama in Japan. Her mother, Ryoko, is a medical professor studying abroad in the United States. Umi runs the house and looks after her younger siblings, Sora and Riku, and her grandmother, Hana. College student Sachiko Hirokouji, and doctor-in-training Miki Hokuto, also live there. Each morning, Umi raises a set of signal flags with the message “I pray for safe voyages”. Plot: One Christmas Eve three people, a middle-aged alcoholic named Gin, a former drag queen Hana, and a dependent runaway girl Miyuki, discover an abandoned newborn while looking through the garbage. Deposited with the unnamed baby is a note asking the finder to take good care of her and a bag containing clues to the parents’ identity. The trio sets out to find the baby’s parents. The baby is named Kiyoko (清子), literally meaning “pure child” as she is found on Christmas Eve. 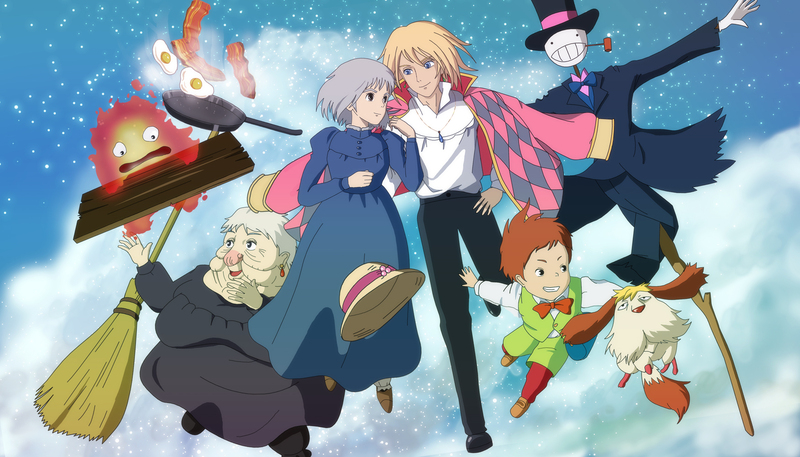 Plot: Fujimoto, a once-human wizard/scientist, lives underwater along with his daughter, Brunhilde, and her numerous smaller sisters. While she and her siblings are on an outing with their father in his four-flippered submarine, Brunhilde sneaks off and floats away on the back of a jellyfish. 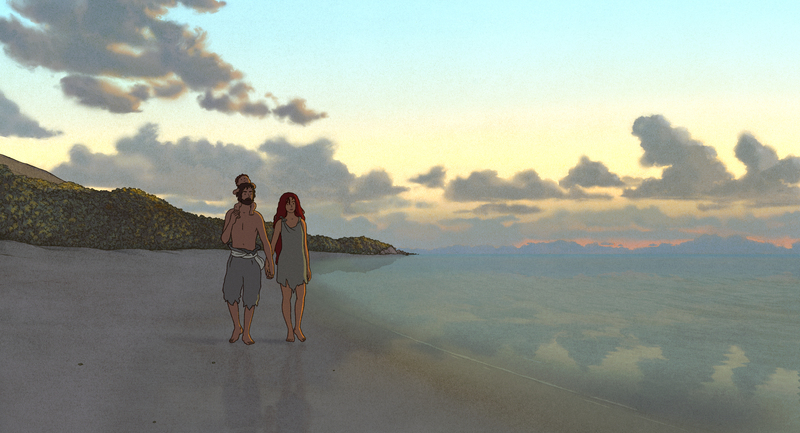 After an encounter with a fishing trawler, she drifts to the shore of a small fishing town in a glass jar where she is rescued by a five-year-old boy named Sōsuke. Shattering the jar open with a rock, Sōsuke cuts his finger in the process. Brunhilde licks his wound causing it to heal almost instantly. Sōsuke names her Ponyo and promises to protect her. Meanwhile, a distraught Fujimoto searches frantically for his lost daughter whom he believes to have been kidnapped. He calls his wave spirits to recover her, leaving the boy heartbroken. Plot: Shizuku Tsukishima is a 14-year-old student at Mukaihara Junior High School, where she is best friends with Yuko Harada. Living in Tokyo with her parents Asako and Seiya, as well as her older sister Shiho, Shizuku is a bookworm and is keen on writing. During an ordinary evening, she looks through the checkout cards in her library books. She discovers they have been checked out by Seiji Amasawa (天沢 聖司). Over the next few days, Shizuku encounters a young man, later revealed to be Seiji, who often annoys her. Plot: Mavis and her new fiancé Johnny are finally married, with the approval of her father Dracula, and the world becomes aware of (and unfazed by) the existence of monsters. Mavis later reveals to Drac that she is pregnant and a year later, she gives birth to a baby boy named Dennis, who later befriends Wayne’s daughter Winnie. Nearing his fifth birthday, Dennis has yet to grow his fangs and Drac worries that his grandson might not gain vampire powers. Noticing the dangers of Transylvania, Mavis starts to consider raising Dennis where Johnny grew up, much to Drac’s disapproval. Plot: Remy is an idealistic and ambitious young rat, gifted with highly developed senses of taste and smell. Inspired by his idol, the recently deceased chef Auguste Gusteau, Remy dreams of becoming a cook himself. When an old French woman discovers Remy’s colony in her house and attempts to exterminate them, they are forced to flee, and Remy becomes separated from his family in the panic. He ends up in the sewers of Paris and eventually finds himself at a skylight overlooking the kitchen of Gusteau’s restaurant. Plot: In 1940, nine-year-old Carl Fredricksen idolizes famous explorer Charles F. Muntz. When Muntz is accused of fabricating the skeleton of a giant exotic bird he says he discovered at Paradise Falls, he vows not to return until he captures one alive. One day, Carl befriends a girl named Ellie, also a Muntz fan. She confides to Carl her desire to move her “clubhouse” an abandoned house in the neighborhood to a cliff overlooking Paradise Falls. Plot: In a world of anthropomorphic animals, koala Buster Moon owns a theater, having been interested in show business since his father took him to his first music show as a child. Following financial problems brought up by the bank representative Judith, he tells his wealthy friend Eddie that he will host a singing competition with a prize of $1,000. But Buster’s assistant, Miss Crawly, accidentally appends two extra zeroes, and the promotional fliers showing $100,000 are blown out of Buster’s office into the city streets. Plot: Dory, a regal blue tang, gets separated from her parents as a child. As she grows up, Dory attempts to search for them, but gradually forgets them due to her short-term memory loss. In the flashback of the previous film, Finding Nemo, she joins Marlin, a clownfish looking for his missing son Nemo after accidentally swimming into him. Plot: On Bird Island, an island inhabited by flightless birds, the reclusive Red is sentenced to an anger management class after his temper causes a “premature hatching” of a customer’s egg. Resentful, Red avoids getting to know his classmates Chuck, Bomb, and Terence, as well as the class’s instructor Matilda. 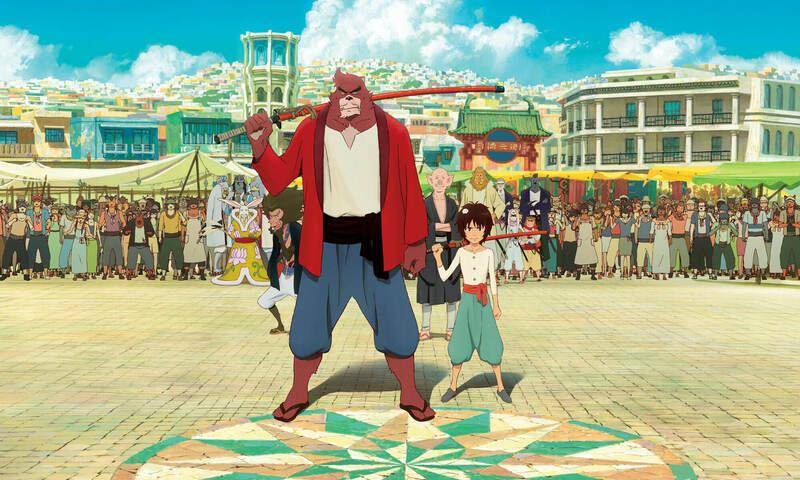 One day, a boat docks at the island’s shore containing green-colored pigs, and their captain Leonard, who claim to be peaceful explorers bringing offerings of friendship. The pigs are accepted on the island and introduce the birds to innovative technologies such as slingshots and helium balloons. Plot: A nameless man set adrift by a storm wakes up on a deserted island. The man finds that the island is rich in resources, finding fresh fruit and water as well as a variety of small animals and a dense bamboo forest, and prepares to leave the island. The man builds a raft from bamboo, and attempts to sail away. However, an unseen sea creature destroys the raft, forcing the man back to the island. Attempting to escape with another raft, his plan is foiled again by the sea creature. Trying a third time his raft is again destroyed, but once in the water he finds a female red turtle facing him. The turtle does not harm the man, and the man retreats back to the island. Plot: Scrat, trying to bury his acorn, accidentally activates an abandoned alien ship that takes him into deep space, where he unwittingly sends several asteroids en route to a collision with Earth. Meanwhile, Manny is worried about the upcoming marriage between Peaches and her fiancé, Julian. Diego and his wife Shira want to start a family, but their fierce appearance tends to scare kids. Sid is dumped by his girlfriend, Francine, just as he is about to propose to her, and he laments his solitude. During Manny and Ellie’s wedding anniversary party (which Manny had forgotten prior to the event), some of the asteroids strike the place and The Herd barely escape with their lives. Meanwhile, at the underground cavern, Buck returns a dinosaur egg back to its rightful owner after it was stolen by a trio of dromaeosaurs named Gavin, Gertie, and Roger. Buck discovers an ancient stone pillar and takes it to the surface, where he meets Manny and the others. Plot: Nine-year-old Ren has recently lost his mother. With no news of his father and refusing to live with his legal guardians, Ren flees into the streets of Shibuya. Ren steals some food and sleeps in an alley, reminiscing the aftermath of his mother’s funeral. Plot: The tree that the chipmunks Alvin, Simon, and Theodore live in is cut down, and driven to Los Angeles. 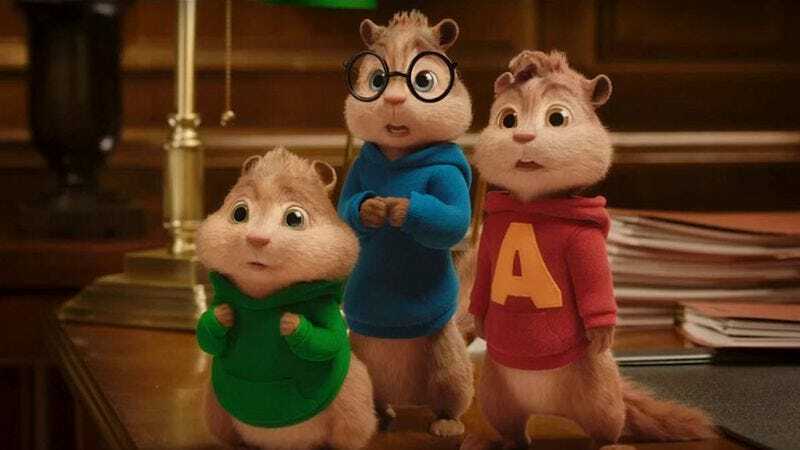 After JETT Records purchases it as a Christmas tree, the Chipmunks meet the struggling songwriter and composer, David Seville, who has had his latest song rejected by the company’s chief executive, Ian Hawke, his former college roommate and best friend, who claims that there is “no sense in writing songs that no one is ever going to sing.” Dave also once had a relationship with his next door neighbor, Claire Wilson. 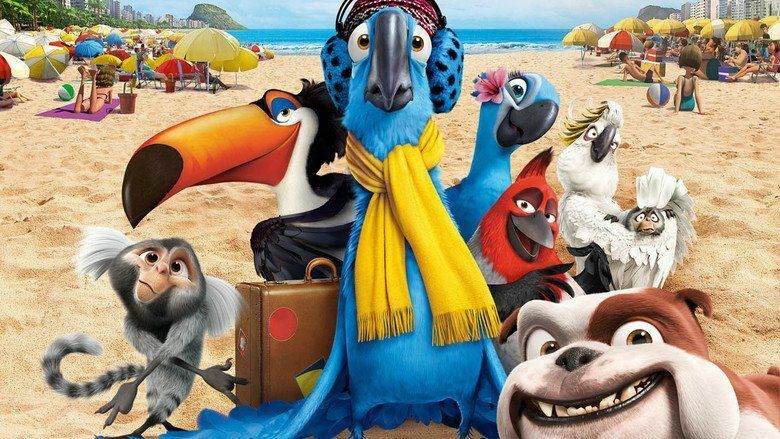 Plot: In Brazil, various exotic birds are smuggled out of the country. In Moose Lake, Minnesota, a crate with a male Spix’s macaw hatchling falls out of a truck and is found by a little girl named Linda Gunderson, who names him Blu. Over the next 15 years, Linda comes to own a bookstore. Highly domesticated and unable to fly because he is scared to, Blu is ridiculed frequently by the Canada geese that come by outside of Linda’s bookstore. Plot: On Berk, a Viking village located on a remote island from which dragons periodically steal livestock, Hiccup, the awkward fifteen-year-old son of the village chieftain, Stoick the Vast, works as a blacksmith’s apprentice. As he is too small and weak to fight the dragons, he instead fashions mechanical devices under his apprenticeship with Gobber, the senior blacksmith, though his inventions often malfunction or backfire. During one attack, Hiccup shoots down a Night Fury, an extremely rare and dangerous dragon, with a bola launcher of his, but when no one believes him he goes off to look for it on his own. He later finds it in the forest trapped in his bolas, but finding that he cannot bring himself to kill the dragon, he instead sets it free. Plot: Anna Sasaki is an introverted 12-year-old girl living in Sapporo with foster parents, Yoriko and her husband. After collapsing from an asthma attack one day at school, Yoriko discusses Anna’s condition and recently withdrawn attitude with her doctor. At his recommendation to send Anna to a place where the air is clear, both foster parents decide to have her spend the summer break with Yoriko’s relatives, Setsu and Kiyomasa Oiwa, who live in a rural, seaside town located between Kushiro and Nemuro. Plot: Princess Elsa of Arendelle possesses magic that allows her to control and create ice and snow, often using it to play with her younger sister, Anna. 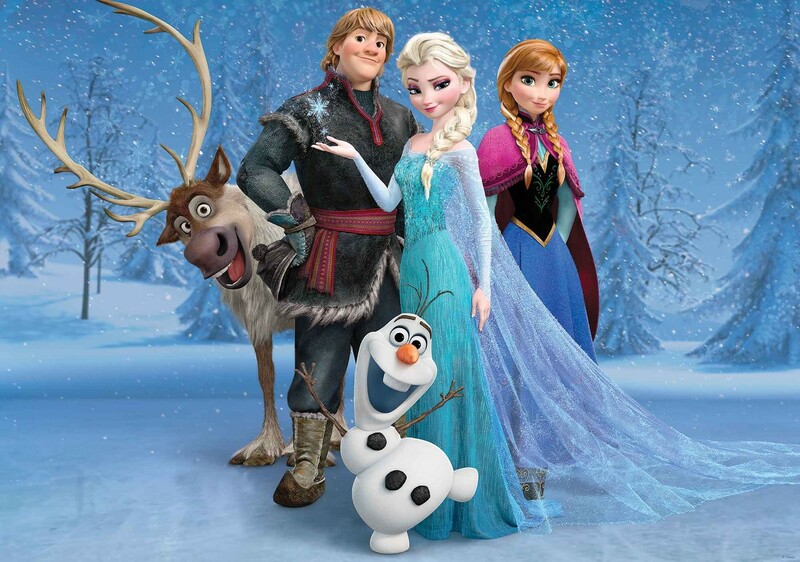 After Elsa accidentally injures Anna with her magic, their parents, the King and Queen, take both siblings to a colony of trolls led by Grand Pabbie. He heals Anna, but alters her memories to remove traces of Elsa’s magic, warning Elsa that she must learn to control her powers. The King and Queen isolate both sisters within the castle. Elsa shuts Anna out, causing a rift between them. Unable to learn to control her power, Elsa can only suppress her power, causing her to become more insecure. When the sisters are teenagers, their parents die at sea during a storm. Plot: Michael “Mike” Wazowski aspires to become a scarer – a monster who enters the human world at night to scare children and harvest their screams for energy – after visiting Monsters Inc., Monstropolis’ most profitable scaring company, on a school field trip. Eleven years later, Mike is a first-year scare major at Monsters University, where he meets James P. “Sulley” Sullivan. Mike studies hard, while the privileged Sulley, coming from a family of talented scarers, relies only on his natural ability and begins to falter. As the semester progresses, Mike and Sulley attempt to join a fraternity, but only Sulley is accepted into Roar Omega Roar, the strongest fraternity on campus. At the semester’s final exam, a fight between the two causes them to accidentally break Dean Abigail Hardscrabble’s cherished Scream Can. While Hardscrabble initially downplays the accident, she reveals more harsh intentions by failing both of them immediately, citing Sulley’s laziness in not studying and Mike’s lack of scariness; Roar Omega Roar then kicks Sulley from their group. 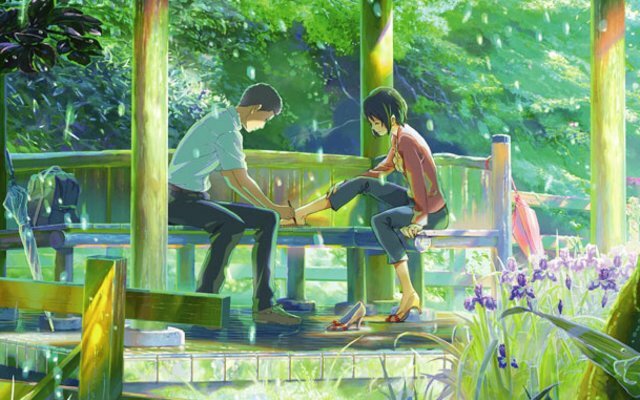 Plot: High school girl Mitsuha Miyamizu lives in the town of Itomori[note 1] in Japan’s mountainous Hida region. She is bored with the country life, and wishes to be a handsome boy in her next life. She begins switching bodies intermittently with Taki Tachibana, a high school boy in Tokyo when they wake up. They communicate by writing messages on paper, their phones, and sometimes on each other’s skin. Mitsuha causes Taki to develop a relationship with his coworker Miki, while Taki causes Mitsuha to become popular in school. 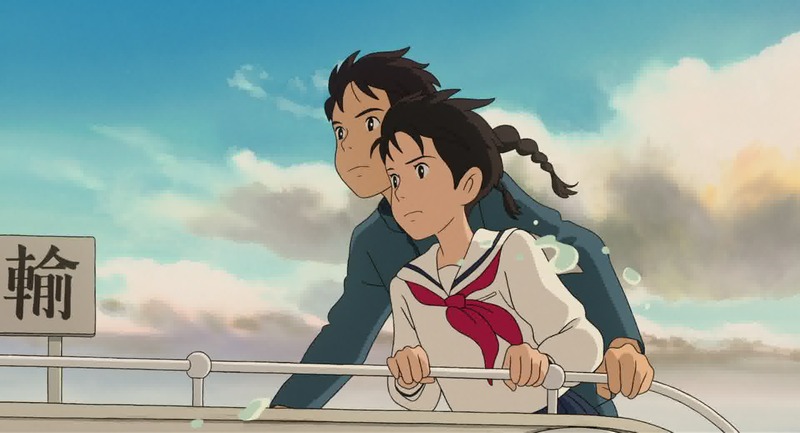 Plot: In 1918, a young Jiro Horikoshi longs to become a pilot, but his nearsightedness prevents it. He reads about the famous Italian aircraft designer Giovanni Battista Caproni, and dreams about him that night. In the dream, Caproni tells him that he has never flown a plane in his life, and that building planes is better than flying them. Plot: 15-year-old student and aspiring shoemaker, opting to skip his first class and sketch shoe designs in the garden at Shinjuku Gyoen. There he encounters Yukari Yukino (Yukino Yukari), a 27-year-old woman who is skipping work and enjoying beer and chocolate. When she notices the school crest on his uniform, Yukari bids him farewell with a tanka (a form of Japanese poetry), leaving Takao puzzled as to its origin and meaning. The two continue to encounter each other and socialize in the park on rainy mornings, but never formally introduce themselves. After Yukari expresses an interest in Takao’s shoemaking, he decides to make a pair of shoes in her size. With the end of the rainy season, Takao stops visiting the park and focuses on his work. Plot: Young journalist Tintin and his dog Snowy are browsing in an outdoor market in 1950s Brussels. Tintin buys a miniature model of a ship, the Unicorn, but is accosted by an Interpol officer, Barnaby, and a ship collector, Ivan Ivanovitch Sakharine, who both unsuccessfully tried to buy the model from Tintin. Tintin takes the ship home, but it is accidentally broken in an incident between Snowy and a cat. A parchment scroll slips out and rolls under a piece of furniture. Meanwhile, bumbling police detectives Thomson and Thompson are on the trail of a pickpocket, Aristides Silk. Plot: Ever since they arrived on Earth as infants, supervillain Megamind has fought superhero Metro Man for dominance of Metro City. 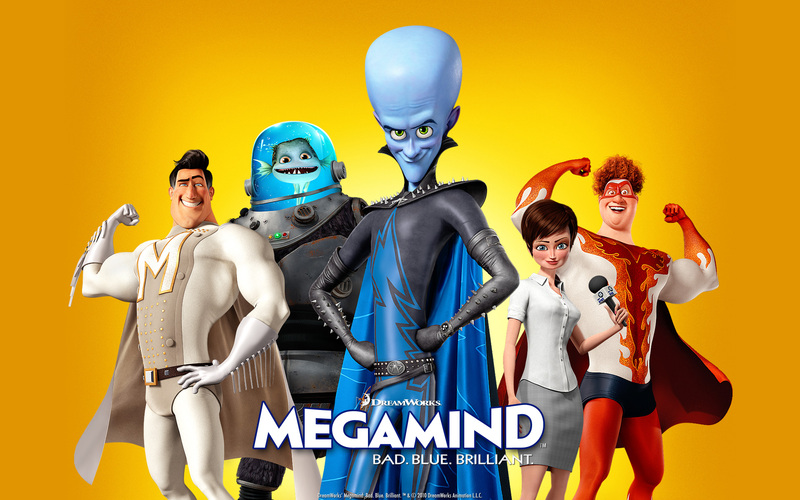 In his latest plan, Megamind and his sidekick Minion kidnap reporter Roxanne Ritchi and hold her hostage in a copper-lined observatory. When Metro Man arrives to save her, he reveals he is weakened by copper, and Megamind obliterates him with a death ray. Megamind finally takes control of the city, but his celebration is short-lived as without Metro Man to challenge him, he finds his life has no meaning. 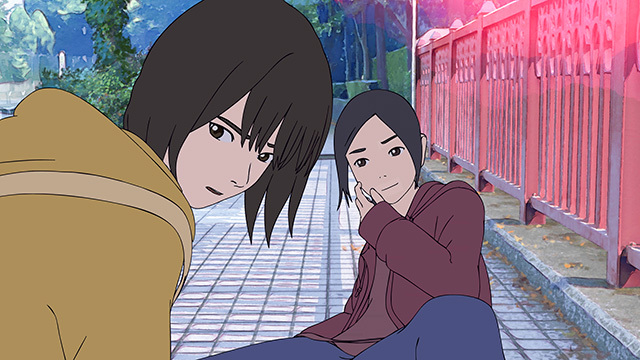 Plot: A boy named Shō tells the audience he still remembers the week in summer he spent at his mother’s childhood home with his maternal great aunt, Sadako, and the house maid, Haru. When Shō arrives at the house on the first day, he sees a cat, Niya, trying to attack something in the bushes, but it gives up after it is attacked by a crow. Shō gets a glimpse of Arrietty, a young Borrower girl, returning to her home through an underground air vent. Plot: Upon reaching the train station to death, a dejected soul is informed that he is “lucky” and will have another chance at life though he does not want it. He is placed in the body of a 14-year-old boy named Makoto Kobayashi, who has just committed suicide by an overdose of pills. Watched over by a neutral spirit named Purapura in the form of a little boy, the soul must figure out what his greatest sin and mistake in his former life was before his six-month time limit in Makoto’s body runs out. He also has a number of other lesser duties he must complete, such as understanding what led Makoto to commit suicide in the first place and learning how to enjoy his second chance at life. Plot: It tells the story of Alice Arisugawa, a transfer student who heard the strange rumor “Judas was killed by four other Judas” while sitting in class. Alice starts to investigate the rumor while revealing that the only person who knows the answer to her question might be her next-door neighbor and classmate Hana. Plot: Following the death of her father Kazuo, Momo Miyaura and her mother Ikuko travel from Tokyo to the Seto Inland Sea. 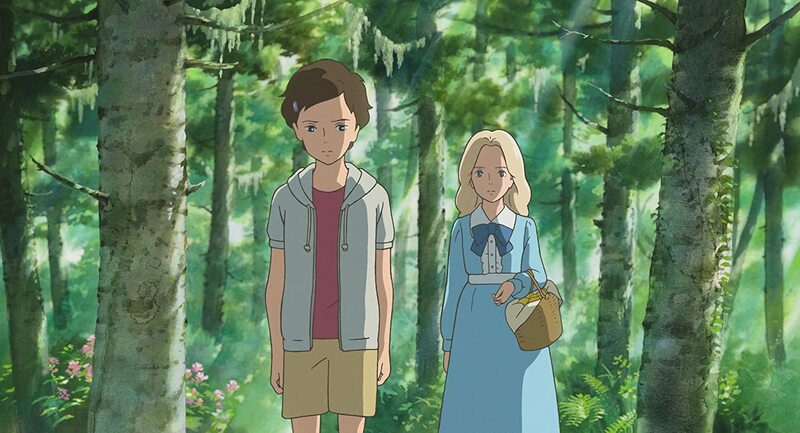 Momo carries Kazuo’s unfinished letter, which contains only the words “Dear Momo”. 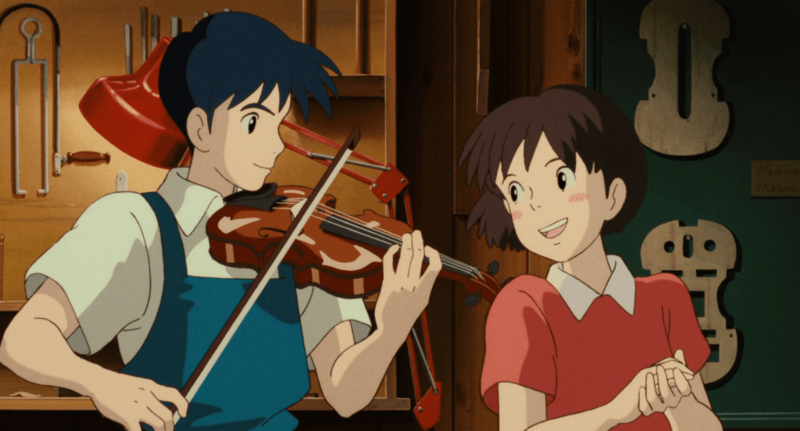 At her mother’s estate in Shio Island (Shiojima), they meet their relatives Sachio and Sae Sadahama, and Koichi, a postman and an old friend of Ikuko, who has always had a crush on her. Momo is devastated and misses Tokyo. In the attic, she opens a present containing a rare picture book about goblins and Yōkai, collected by Sachio’s father. Three droplets from the sky enter Ikuko’s estate and transform into yokai consisting of Kawa, Mame, and Iwa, the group’s leader. Plot: Kenji Koiso is a young student at Kuonji High School with a gift for mathematics and a part-time moderator in the massive computer-simulated virtual reality world OZ along with his friend Takashi Sakuma. Plot: In the near future, a revolutionary new psychotherapy treatment called dream therapy has been invented. A device called the “DC Mini” allows the user to view people’s dreams. 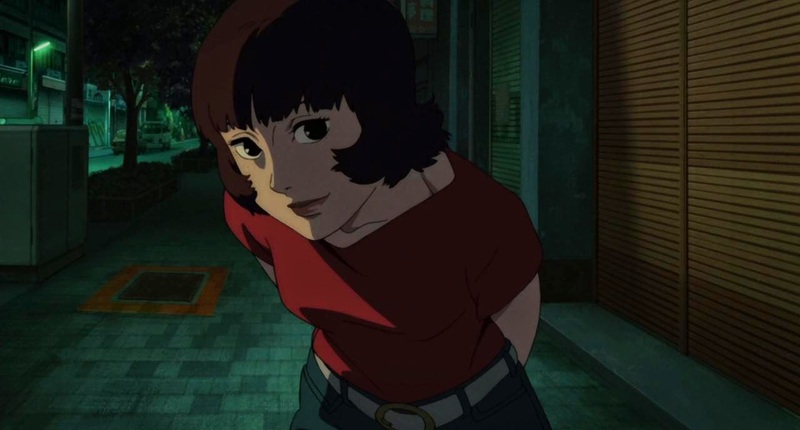 The head of the team working on this treatment, Doctor Atsuko Chiba, begins using the machine illegally to help psychiatric patients outside the research facility, using her alter-ego “Paprika”, a sentient persona that she assumes in the dream world. Plot: At Kuranose High School in Tokyo, Japan, Makoto Konno discovers a message written on a blackboard and inadvertently falls upon a walnut-shaped object. 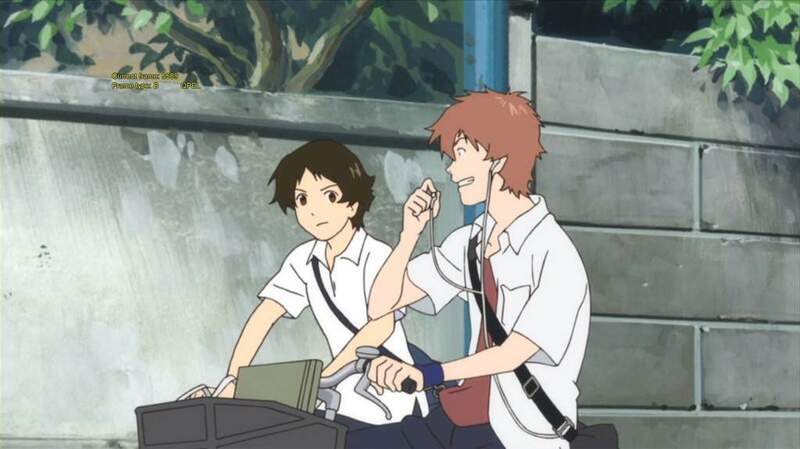 On her way home, Makoto is ejected into a railroad crossing when the brakes on her bicycle fail and is hit by an oncoming train, but finds herself transported back to the point in time when she was riding her bicycle right before the accident. After entering the Tokyo National Museum to meet with Kazuko Yoshiyama, she explains to Makoto that she has the power to “time-leap”, to literally leap through time. At first, Makoto uses her powers to avoid being late, getting perfect grades, and even relive a single karaoke session for several hours, but soon discovers that her actions can adversely affect others. Plot: A woman leaving to embark on a spaceship from the moon to Earth. An earthquake occurs and it is revealed that this is simply a scene from a movie being played out on a television. Genya Tachibana, a TV interviewer, and his cameraman Kyoji Ida head off to a new job: Ginei Studios, a prestigious but bankrupt movie studio being torn down, and its best known star Chiyoko Fujiwara has agreed to do a rare career retrospective interview. When they meet, Genya gives her a key he believes she lost at the studio, which causes Chiyoko to reflect on her career. As she’s telling her life story, Genya and Kyoji are drawn in, literally, to Chiyoko’s past, as they are blended into various scenes that concurrently reflect Chiyoko’s filmography and life story at once. Plot: In Muromachi Japan, an Emishi village is attacked by a demon. The last Emishi prince, Ashitaka, kills it before it reaches the village, but its corruption curses his right arm. The curse gives him superhuman strength, but will eventually spread through his body and kill him. The villagers discover that the demon was a boar god, Nago, corrupted by an iron ball lodged in his body. The village’s wise woman tells Ashitaka that he may find a cure in the western lands Nago came from, but he cannot return to his homeland. Plot: In 1982, Taeko Okajima is 27 years old, unmarried, has lived her whole life in Tokyo and now works at a company there. She decides to take another trip to visit the family of the elder brother of her brother-in-law in the rural countryside to help with the safflower harvest and get away from city life. While traveling at night on a sleeper train to Yamagata, she begins to recall memories of herself as a schoolgirl in 1966, and her intense desire to go on holiday like her classmates, all of whom have family outside of the big city. Plot: As is traditional for trainee witches, thirteen-year-old Kiki leaves home with her familiar spirit, a talking black cat named Jiji. 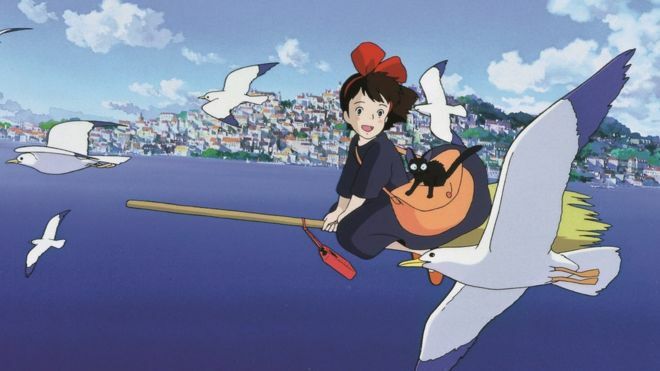 She flies on her broomstick to the port city of Koriko. While searching for somewhere to live, Kiki is pursued by Tombo, a geeky boy obsessed with aviation who admires her flying ability. Plot: An airship carrying Sheeta, a girl who has been abducted by government agent Muska, is attacked by Captain Dola and her air pirate sons who are in search of Sheeta’s crystal amulet. In the resulting struggle, Sheeta falls from the airship but her descent is slowed by a mysterious power within the amulet. She safely lands in a small mining town where she is discovered by a boy named Pazu, who takes her into his home to recover. Pazu tells her of a mysterious floating island named Laputa which is visible in a picture taken by his father. Later, they are pursued by Dola’s pirates, and then by Muska’s soldiers. Eventually, the two fall into an abandoned mine, where they encounter the local eccentric Uncle Pomme, who informs them that Sheeta’s amulet is made of ‘volucite’ crystal (‘Aetherium’ in the American release), a material used to keep Laputa and the other flying cities aloft. Plot: 17 year old Mary Katherine, or M.K., moves in with her eccentric scientist father Professor Bomba, who has been searching for tiny humanoid soldiers called Leafmen. They protect the forest that Bomba lives near from wicked creatures called Boggans and their malevolent leader Mandrake. An independent young soldier named Nod decides to quit, much to the ire of the no-nonsense Leafmen leader Ronin. Plot: A bamboo cutter named Sanuki no Miyatsuko discovers a miniature girl inside a glowing bamboo shoot. Believing her to be a divine presence, he and his wife decide to raise her as their own, calling her “Princess”. The girl grows rapidly and conspicuously, causing her parents to marvel and earning her the nickname “Takenoko” (Little Bamboo) from the other village children. Sutemaru, the oldest among Kaguya’s friends, develops a close relationship with her. Plot: In 1863, where an alternate nineteenth century Europe has made tremendous strides in steam-powered technologies, scientist Lloyd Steam and his son Edward have succeeded, after a lengthy expedition, in discovering a pure mineral water. They believe the water can be harnessed as an ultimate power source for steam engines (the main industrial engine of the time). An experiment in Russian Alaska goes terribly wrong, with Edward being engulfed in freezing gases, but results in the creation of a strange spherical apparatus. Plot: A cave family called the Croods survives, due to the overprotective nature of their stubborn, stern patriarch, father, Grug. The only one who questions the family’s sheltered life is his teenaged daughter Eep, who frequently disobeys her father’s orders out of curiosity, which he finds dangerous. Grug and Eep, along with her mother and his wife Ugga, her grandmother Gran, and her younger brother and sister, Thunk and Sandy, face time sheltered in their cave home. Plot: The story is of a girl named Haru Yoshioka, a quiet and shy high school student who has a suppressed ability to talk with cats. One day, she saves a cat from being hit by a truck on a busy road. The cat she saved turns out to be Lune, Prince of the Cat Kingdom. As a thanks, the cats give Haru gifts of catnip and mice, and she is offered the Prince’s hand in marriage. Her mixed reply is taken as a yes. 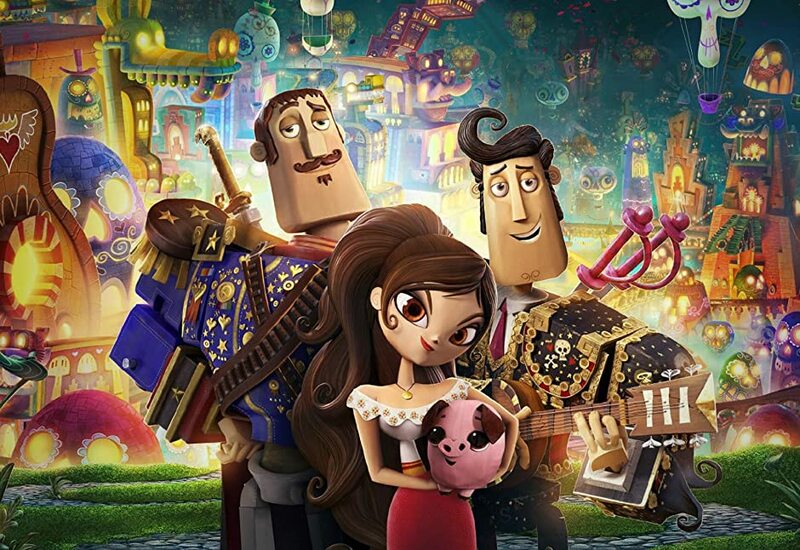 Plot: Mary Beth, a museum tour guide, takes a group of school detention students on a secret museum tour, telling them, with wooden figures, the story of a Mexican town called San Angel from the Book of Life, holding every story in the world. Plot: As the Smurfs get ready for the Blue Moon Festival, Papa Smurf sees in his cauldron a vision of Clumsy Smurf reaching for a dragon wand and the Smurfs in cages while Gargamel laughs. Not wanting this vision to come true, Papa Smurf disallows Clumsy to pick Smurf Roots. Clumsy disobeys Papa and ends up unintentionally leading Gargamel and Azrael to the village. The Smurfs all flee for their lives while Clumsy unknowingly runs towards the Forbidden Falls, with Papa Smurf, Smurfette, Grouchy, Brainy and Gutsy running after him. They find him at the edge of a cliff, and while trying to help him up, they are sucked into a gigantic vortex that spirits them to present day New York City. To make matters worse, Gargamel and Azrael follow them through the vortex. The Smurfs end up in the apartment of Patrick and Grace Winslow, a married and expectant couple, and their Basset Hound Elway. After introducing themselves and explaining their situation, the Winslows befriend them and allow them to stay in their apartment. The next day, needing to find a “star gazer” (a telescope), the Smurfs follow Patrick to his workplace at Anjelou Cosmetics, misunderstanding the previous explanation of his job as fortune-telling. He calls Grace to pick them up. Plot: Hiro Hamada is a 14-year-old robotics genius living in the futuristic city of San Fransokyo who spends much of his free time participating in illegal robot fights. To redirect Hiro, his older brother Tadashi takes him to the research lab at the San Fransokyo Institute of Technology, where Hiro meets Tadashi’s friends, GoGo, Wasabi, Honey Lemon, and Fred. Hiro also meets Professor Robert Callaghan, the head of the university’s robotics program. Amazed, Hiro decides to apply to the university. Plot: On the Polynesian island of Motunui, the inhabitants worship the goddess Te Fiti, who brought life to the ocean, using a pounamu stone as her heart and the source of her power. Maui, the shapeshifting demigod and master of sailing, steals the heart to give humanity the power of creation. However, Te Fiti disintegrates, and Maui is attacked by Te Kā, a volcanic demon, losing both his magical giant fishhook and the heart to the depths. Plot: Dr. Jumba Jookiba is arrested and put on trial by the Galactic Federation for illegal genetic experimentation, evidenced by his creation “Experiment 626”, a small sentient creature with unparalleled intelligence and strength but also a propensity to cause chaos. 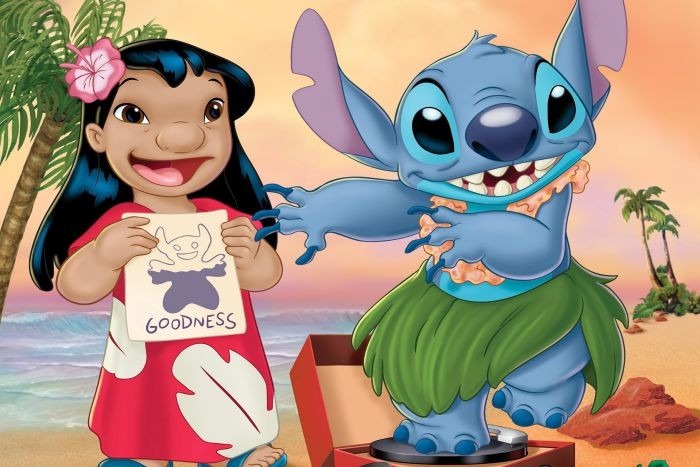 Jumba is imprisoned while Experiment 626 is sentenced to exile on a desert asteroid. 626 manages to steal a spaceship and activates the hyperdrive, causing its guidance systems to malfunction and randomly set a course for Earth. 626 crash-lands on Kauaʻi, Hawaii only to be knocked unconscious by passing trucks and taken to an animal shelter. The Grand Councilwoman dispatches Jumba and Agent Pleakley, the Council’s expert on Earth, to the planet to have 626 captured discreetly. Wow… 😍 I’m touched beyond words!! warmest thanks to you & God bless you.